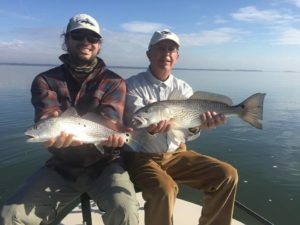 March is our first sign of spring weather and great fishing for Redfish, Speckled Sea Trout, and Flounder. What I like so much about March is how the water slowly warms up and starts to bring in more baitfish. The water also stays clear which makes for great fishing after a cold winter. 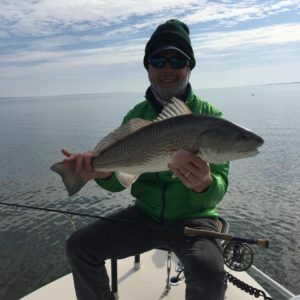 Fly Fishing Report- I’am mostly fishing low tides during the first two weeks of March. 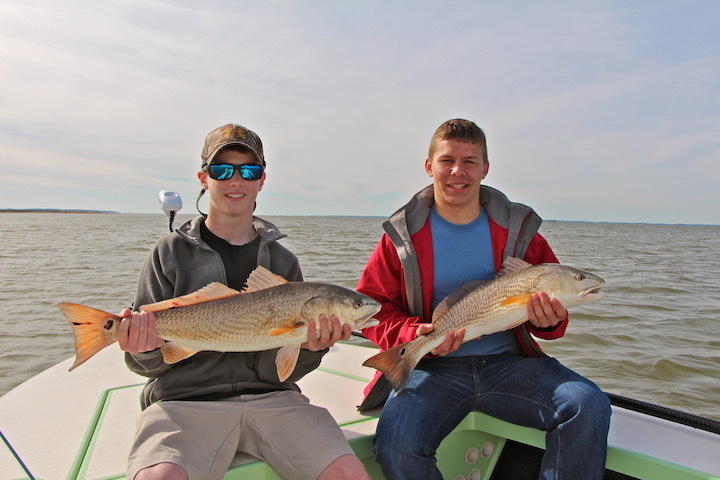 During the low tides we are sight fishing large schools of Redfish on the shallow water mud flats from my skiff. What I love so much about low tide fishing in March is how clear the water is but also still cool enough to get the fish really schooled up. As the temperature rises so does the bait population and always seems to get the fish fired up. I’am still fishing winter style flies this time of year with a lot of baitfish/shrimp patterns in more of a natural color. 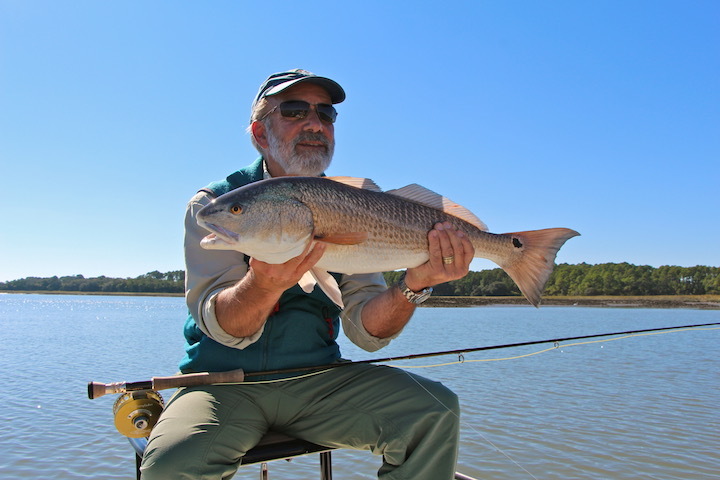 I also will start to fish flood tides again towards the end of March when the water temperature gets above 65 degrees. 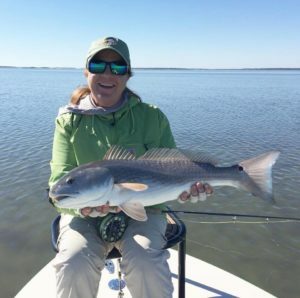 Light Tackle Fishing Report- Light tackle fishing in the month of March can provide a variety of different ways of targeting Redfish, Speckled Sea Trout, and Flounder. I’am mostly fishing Live baits like Mud minnows, Shrimp, or Mullet. Also using a lot of different kinds of soft plastic artificial when sight fishing during low tide. Depending on how you like to fish I can always focus our day around what you want to do. When fishing the Pathfinder I’am always fishing a falling or rising tide for the best fishing. As long as the water is moving we are catching fish! Enjoy a few customer photos below. Give me a call or shoot me an email to book your next Fishing Charter in Beaufort or Hilton Head, SC! February here in the Lowcountry of Beaufort and Hilton Head, SC can be a challenging month of weather but one of the best times of year for shallow water sight fishing for Redfish! The month of February can be one of the coldest months of year so as a guide I’m always happy to see a sunny 60-70 degree day on the water. 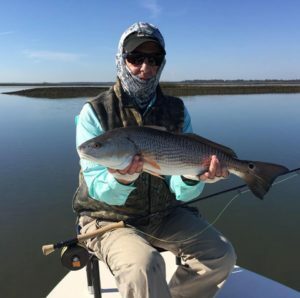 Fly Fishing right now is great and have mostly been fishing low tides while sight fishing big schools of Redfish in a few inches of clear water on the mud flats. 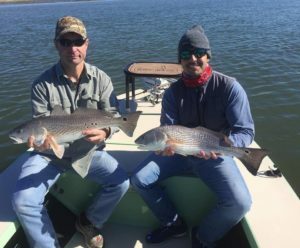 There is nothing better than watching a school of Redfish fight over your fly! Light Tackle fishing in February is also great while fishing a rising or falling tide. With the clear water we are mostly using Mud Minnows, Live Shrimp, or an assortment of soft plastic artificial on the Pathfinder with 3-4 anglers. 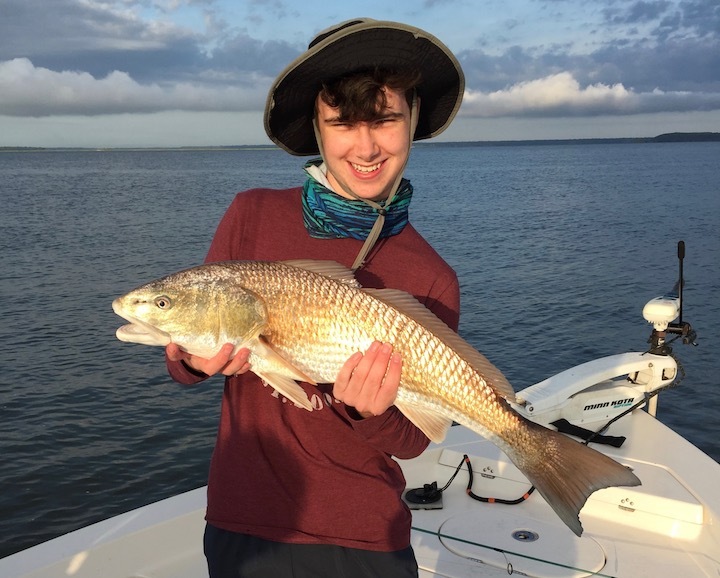 What I love about light tackle fishing this time of year is that we are fishing larger schools of Redfish so most of the time when you hook one fish, there will be plenty more to come out of the same spot. 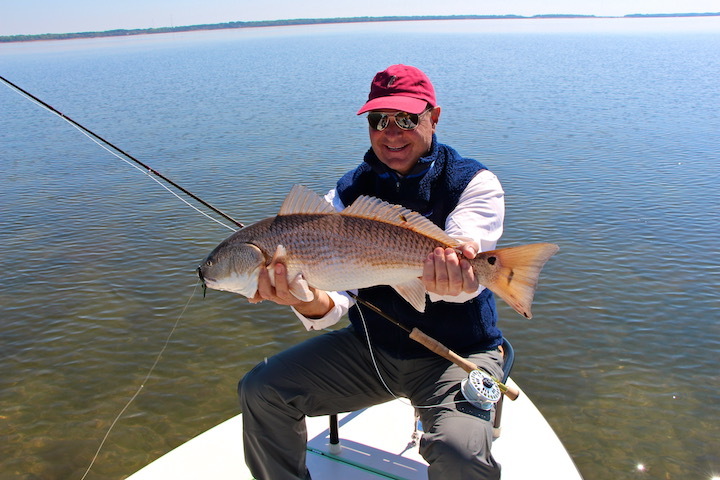 Winter time fishing here in Beaufort and Hilton Head, SC is a great time to fish. Give me a call or shoot me an email to book your next adventure here in the Lowcountry! 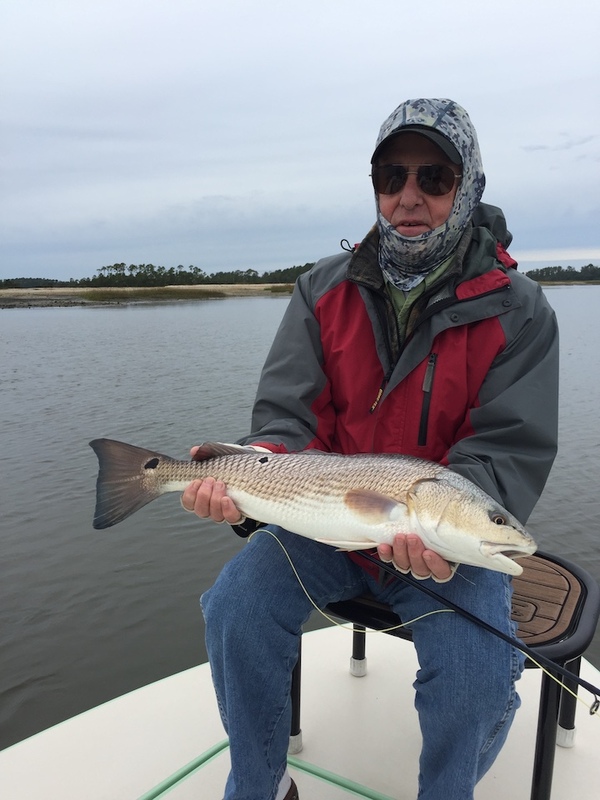 Enjoy a few photos from days on the water here in Beaufort and Hilton Head, SC!